Notes: Open Saturday 8:00 am to noon starting February 2, 2019-April 13, 2019. Trusted accounting professionals serving Derby and the surrounding area for over 30 years. 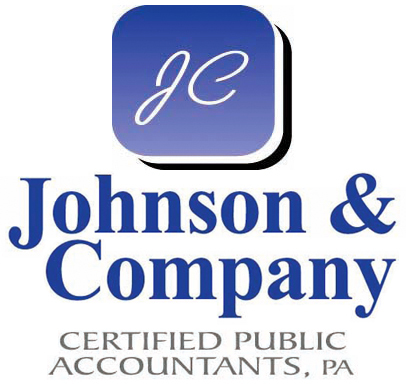 Johnson & Company, CPA's, PA has been serving the Derby area for over 30 years. They are dedicated to offering personalized and professional service to help customers make informed decisions about their accounting needs. The staff at Johnson & Company takes time to get to know their clients. They specialize in helping their clients and beneficiaries save money on taxes as well as assessing their future tax needs. Year-round appointments are available Monday through Friday for individuals and businesses of all types and size. Extended office hours are available from January 1st through April 15th for customer convenience. If you would like to schedule a consultation appointment to discuss how Johnson & Company CPA's, PA can help you meet your tax and financial needs, please contact Haley at 316-788-0555. Johnson & Company was founded in 1983 by Larry Johnson, CPA. Daniel Johnson, CPA joined the company in 2000. In 2004, two family-owned accounting businesses - Clawson & Associates and Johnson & Company - merged to create Johnson & Company CPA's, PA, the largest accounting firm in Derby. Several long-time family members and employees of Clawson & Associates are still providing personalized customer service as employees of Johnson & Company CPA's, PA.
Johnson and Company specializes in personal and business tax returns and payroll and accounting for individuals and businesses. They provide a reasonable fee that often can be less than what they can save you in taxes. Staff can provide services to a wide variety of clients. 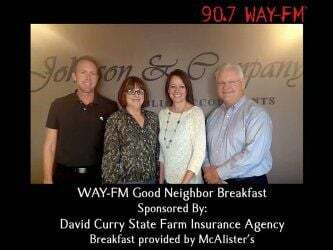 Take advantage of the family-owned business on Madison and call up a staff member at Johnson and Company today. I review a lot of work that gets done by my staff. I review payroll, accounting and tax returns for businesses, individuals, estates and trusts. I provide consulting services to businesses and set up new businesses. I love the flexibility to set my own hours, and I don’t have one day that is exactly the same. I like numbers and being able to help people save on taxes. I also enjoy meeting new people and working with existing clients and our excellent staff here. I love spending time with my family and friends. We go on vacations, to baseball games, Wichita State basketball games, Kansas City Royals games, playing golf, watching our kids play sports, and going to church. Tax returns, payroll, bookkeeping and e-filing. I just love working with the people here. I work with my husband, father-in-law and mom. It’s awesome to work with family everyday. I love my five kids. I like to run and be outdoors. I get to do a variety of things, and I like to see the payroll, bookkeeping and tax returns completed at the end of the year. I have a husband, son, and daughter. I like to scrapbook and read. I am a CPA. I assist with preparing tax returns, payroll and general accounting for companies in the surrounding area. I like when accounting works the way it is supposed to and you can see the end result. I spend most of my free time with my husband and 3-year-old son. Tax preparation and small business accounting. I like meeting with the people and helping them be in compliance with the tax laws and helping them with their accounting problems. I spend a great deal of time with my family. I do corporate and personal tax returns during the tax season. I like helping people, calming their nerves when they are getting their taxes done and trying to help them get the best answer. The rest of the year I work part-time with my husband and his business in Arizona, and I travel. Payroll, light accounting, filing, office organization, ordering, advertising, shipping, scheduling, a little bit of everything. I love getting to know our clients and the staff here works extremely well as a team. I am an outdoor enthusiast, a wife, and a mom of two boys. I work on payrolls, books, organization of the office, filing, ordering, advertising, talking on the phone with clients, and much more. I enjoy accounting in general because it is very black and white. It’s exciting to see end results. I also very much enjoy building relationships with the clients. I am a full time student getting my accounting masters. Also, I own my own photography business and coach two club volleyball teams in the winter. My 5 month old puppy keeps me busy too. Larry Johnson, CPA, founder of the firm, is a member of the AICPA and Kansas Society of CPA's. Larry has been a licensed CPA since 1977. Daniel Johnson, CPA, received his Master's degree in accounting from WSU in 1999. Daniel is a licensed CPA and a member of the AICPA and Kansas Society of CPA's. Daniel began working at Johnson & Company CPA's in 2000. Heather is a Friends University graduate with a Bachelor's degree in Business Administration. She has been employed in the tax and accounting profession in Derby for over 19 years. Kim has been in the Public Accounting profession for 39 years. She started in Derby with her father Mark Clawson. She now lives in sunny Arizona and works part time for tax season. Raylene has been in the accounting profession since 2000. She graduated from Friends University with a Bachelor's degree in Accounting. Britton is a University of Central Oklahoma graduate with a Bachelor's degree in Accouting. She is a member of the AICPA and KSCPA. She has been employed in the accounting profession since 2009. Jana Montgomery, Administrative Assistant, has over 4 years experience. Her specialty is providing exceptional customer service. Call Jana to schedule your next appointment.